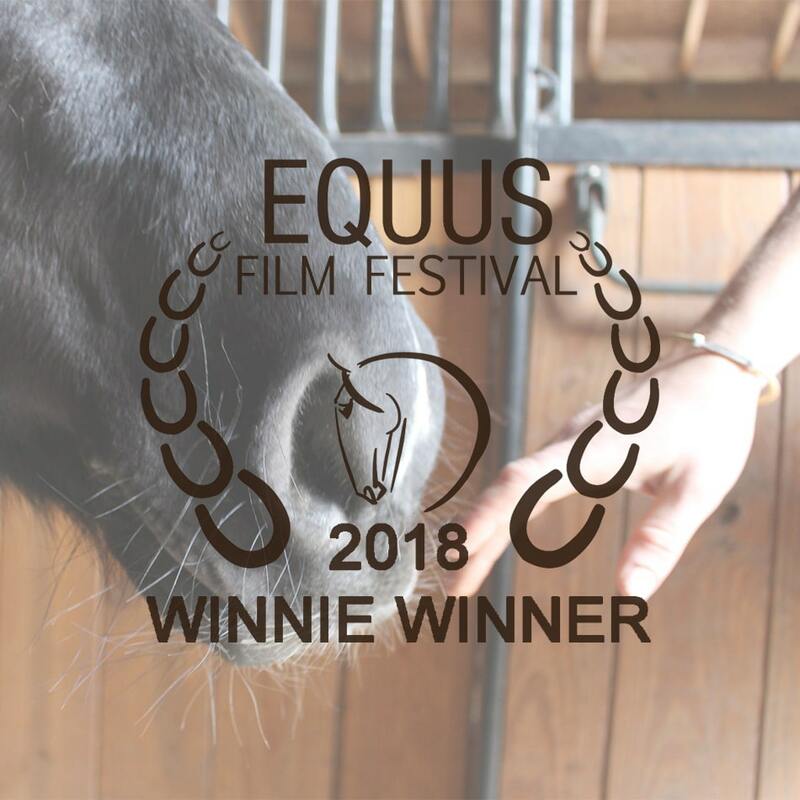 Case Studies are currently offered as part of the Academy, in which Maddy takes a mustang and does in depth, unedited filming of the entire training process or for a selected time period of the horse’s training and rehabilitation. 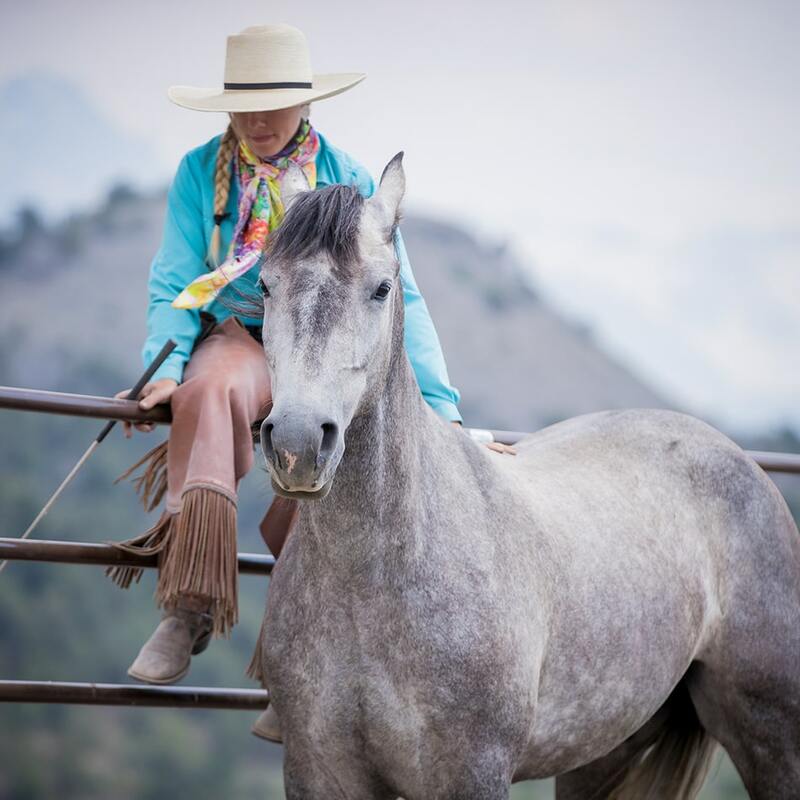 Most horses used for the case studies are mustangs who have failed conventional training programs for various reasons; for these horses, Maddy is typically their last chance at learning to thrive in the human world. Such horses pose several challenges for training, but serve as great learning opportunities for case study students as well as for Maddy, who becomes inspired with new approaches and techniques for helping the horses work through trauma and training issues. After rehabilitation they are usually offered up for adoption. Maddy explores the possibilities of the horse-human relationship with Amira, a formerly wild horse out of chances. 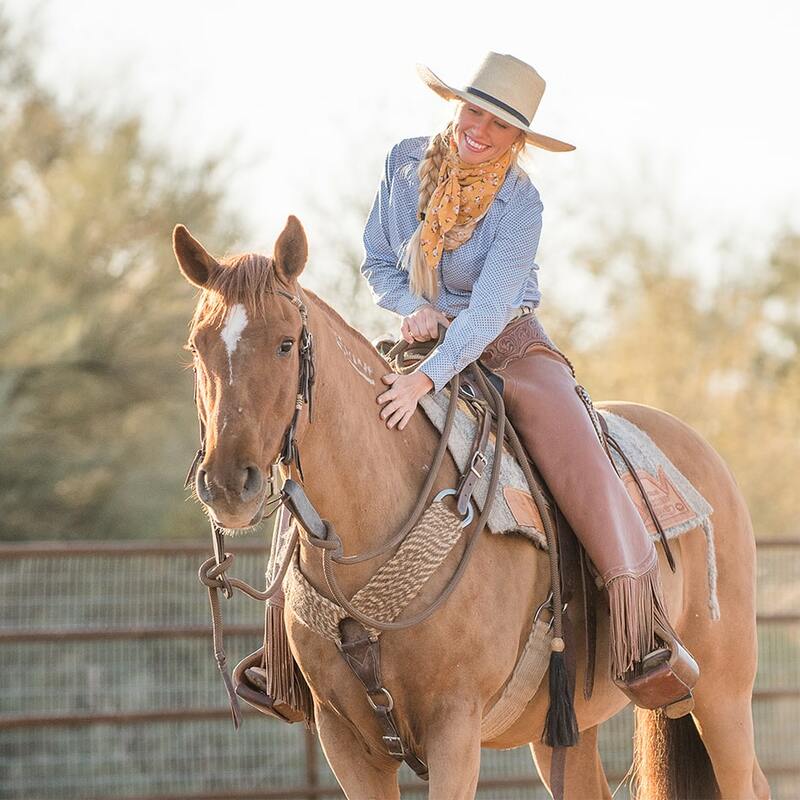 A series of events led her to set out on a mission to train Amira to ride without her ever having worn any ropes or even a single piece of tack – in just one week. Prepare to be educated, entertained, and inspired as Maddy experiences both the inevitable struggles and rewards associated with self-discovery, taking risks, and following your dreams. Django is a 5 year old, formerly wild mustang with extreme fear, anxiety, bolting, and bucking problems. His owner brings Django to Maddy for a last chance at learning to live in the human world. Maddy chooses to re-start Django using her “liberty start,” with no ropes, halters, or bridles for the first several days of training. This process helps Django to re-negotiate his flight instinct and become relaxed with mounting, desensitizing, maneuvers, and riding. She later reintroduces him to tack and completes a successful rehabilitation. Willie is a 15 year old, BLM mustang that was confiscated by Animal Control after being severely starved. He was then taken in by the Indiana Horse Rescue. After several unsuccessful attempts at re-homing Willie, the rescue has contacted Maddy in hopes that she will be able to help him overcome his dangerous behavior and learn the skills he needs to be placed in a forever home. Willie pushes into and pulls against any kind of pressure, resulting in kicking out, bull-dozing past handlers and bolting. His history of reinforcement for such behaviors makes him a particularly challenging case and Maddy chooses to focus on a high level of positive reinforcement training to work through these fear based behaviors, which ultimately leads to his successful rehabilitation. Mystic is a 4 year old Mustang mare gathered from South Steens, OR. 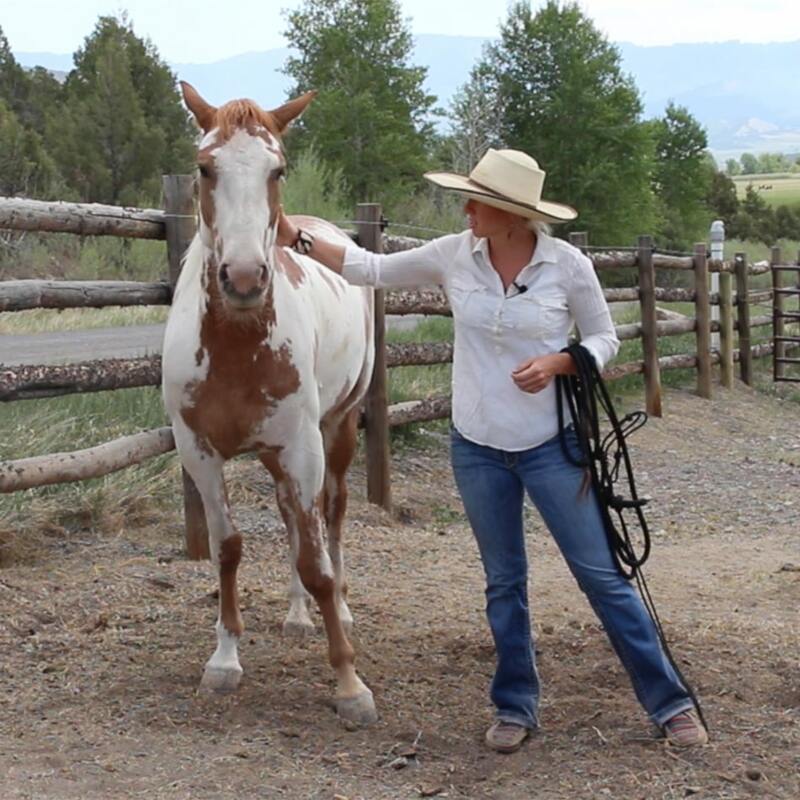 After failing every trainers’ program she was sent to, she was deemed to have serious issues that prevented her from ever being re-homed as a safe riding horse. Watch as Maddy rehabilitates Mystic, mentally, emotionally, and physically ~ coming in Spring 2019! If you love natural horsemanship and want to get further insight how to improve your horsemanship skills I would fully recommend doing Madison’s case studies. This case study was worth every penny and more. I just happened to get a restart mustang in at this same time, so the whole series was extremely beneficial. I learned some very new and interesting techniques in how to help a very high anxiety filled horse. Thanks so much for taking the time to share your knowledge and making it available in such an easily accessible format! The case study was definitely worth my money. I am a much better trainer thanks to you. The case study with DJango was and awesome experience. I got more then my money worth watching this and was inspired to try the liberty start with one of my own horses. I absolutely loved being able to watch every step with him without it being edited. What is the difference between Case Studies and Courses? All of our courses were designed to cover a large amount of information on specific topics. They’re broken up into segments and intended to mimic an in-person clinic. Case Studies are completely unedited and follow individual horses as Maddy takes them through training and rehabilitation. With real-time training, you’ll experience the successes and challenges just as you would in the real world. You never what amazing things are going to happen! How do I access case studies after I purchase them? All of our case studies are served via the Teachable platform. When you purchase a case study you will create a member profile that allows you to come back and access the content whenever you would like. How much content is in each case study? All of the case studies vary in length and amount of overall content. However, every case study is made up of hours of training over multiple days or lessons of training. Sounds like a lot of content. What if I can't watch it all at once? No problem! With your member login, you can come back and continue to watch at any time. Even better, the system will remember where you left off and let you pick back up in the same spot. I travel. Can I view the case studies on a tablet or phone? You sure can! Our case studies are fully responsive, so you can view all of our content from computers, tablets, and smartphones. Data charges may apply, check with your carrier if you’re streaming using a wireless signal. Can I request a refund if I don't like the Case Study? Of course! We want you to be happy with all of the training videos we provide. If you are not happy, please email me within 30 days of purchase at academy@mustangmaddy.com and let me know. I will do my best to ensure you are satisfied.